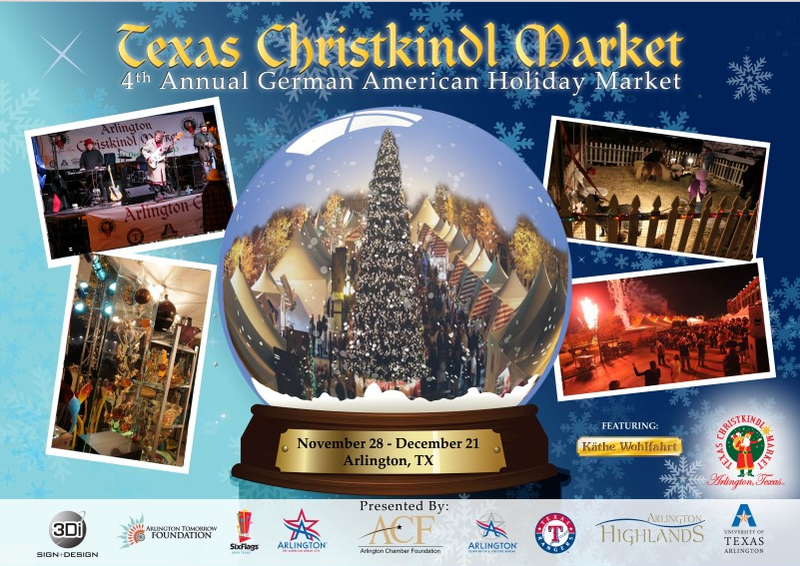 Time to mark your calendar for the 2014 Annual Texas Christkindl Market! The 2014 Texas Christkindl Market will be bigger and better than ever. We invite everyone to mark your calendars to visit the Market between November 28 and December 21, 2014. This 4th Annual Christkindl Market means excitement and fun experience for all. Enchanting outdoor family market in the tradition of those held throughout Germany during the Christmas season. While strolling the Market visitors view and enjoy exquisite handmade gifts, unique ornaments, rare European fabrics, German delicacies like brats, goulash, potato pancakes, gingerbread, baked goods, Gluhwein and German beers. Live entertainment is available on a main stage placed in the center of the Market featuring holiday acts/plays and musical performances from colleges, high schools, churches and professionals. The family-friendly Market also has a custom-crafted Santa Haus, Marionette Theatre, Bavarian-themed children’s petting zoo and much more! See you at the Texas Christkindl Market adjunct to Globe Life Park in Arlington, TX (Home of Texas Rangers Baseball). Vendor interest – click here. Volunteer interest – click here. Sponsorship interest – click here. Entertainment application – click here.